The name Malgudi evokes a nostalgic response in almost anyone you meet. Somehow it seems to bring about memories of a simpler, less complicated era in our lives, so much so that even Indians who've never experienced village life firsthand feel as though 'Malgudi' might be their 'native village'! Advertisers for quite a few products now use 'Malgudi' and its associations to help brand their products – fruit juice, restaurants, home-stays for tourists… Just why do we all collectively love Malgudi so much? Could be any or all of these reasons. 1. The travails of the common man. 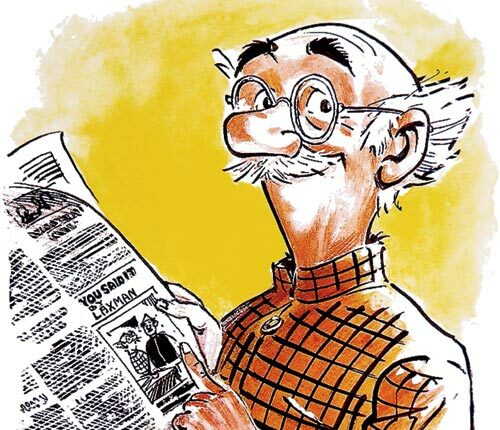 The Common Man, created by R.K.Narayan's brother R.K.Laxman. Most of R.K.Narayan's stories were extremely simple, and had simple plots – an ordinary person, most often a young boy or man, would be jolted out of his peaceful existence through no fault of his own, and be forced to grapple with problems that were obviously too complex for him. Somehow, he would emerge from the experience, not gloriously successful but not a complete failure either. There were no heroic characters. These could well be tales about the author's brother's equally popular creation, the Common Man. 2. The wry sense of humour. While the average reader would hardly be laughing throughout the tales, the foibles of all the characters could certainly raise a smile. Think of the hapless Swami being forced to go to school, Chandran the B.A. in love and worried about the caste that his beloved belonged to, and the inherent social commentary in the books – a glimpse of life in small-town India, revolving as it does around endless rounds of 'litigation' where brother fought brother over ancestral property, life ground to a halt for afternoon naps, and an entire town ceased functioning to organise a temple festival – ah, if only we could experience such times again. 3. The gentle lampooning of the rich and powerful. We Indians dislike bullies, but traditionally we have avoided confronting them. However, we enjoy watching the pompous, the powerful and the corrupt get their comeuppance – and in several Malgudi stories – The Man-Eater of Malgudi, The Financial Expert – they do. 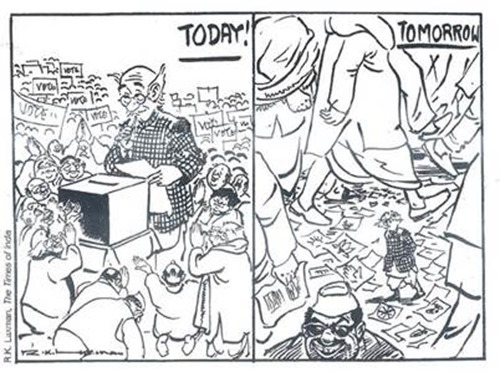 Gandhiji in the story Waiting For Thee Mahatma is much more optimistic! Malgudi is peopled with characters of all stripes. Even Gandhiji makes an appearance, in Waiting for the Mahatma. Even if you haven't lived in a small town, you've met characters like these, making the stories and the setting instantly relatable. 5. A reminder of how bad schools used to be! The two schools in Malgudi – Albert Mission School and the Board school – feature in many of the stories. In particular, the Swami and Friends stories feature both schools, and give us a glimpse of school days in olden times, when caning and other forms of corporal punishments were common, and even parents indulged in them as a reliable form of disciplining their kids. 6. Love and longing in pre-globalised India. Lovers in Malgudi needed to be discreet, rarely even exchanging words or glances. Chandran falls in love with a girl he has never spoken to, and never even considers speaking with her – for him, love means having his parents and her parents work out the details of an arranged marriage with his beloved! Raman, a sign-painter, is braver and more independent, but is thwarted in his romance all the same. Unsuccessful love stories seem the norm in Malgudi! 7. There's even a story with a feminist angle. 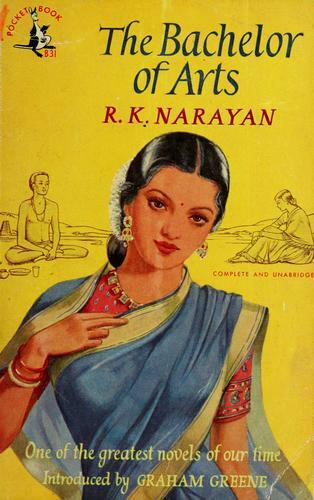 R.K.Narayan did not shy away from the starker realities of life in small-town India. 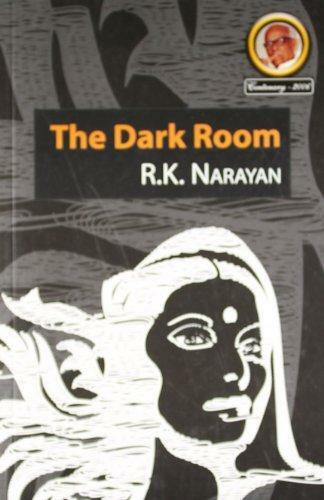 In The Dark Room, Janaki, the perfect wife and mother, faces a crisis when her husband starts an affair with a female employee. Though in her despair she gathers the courage to leave him and even attempts suicide, she realises that she cannot leave her life, and her children, so easily. A rarity among the Malgudi tales, this one shows a woman's perspective.